When it comes to alarm systems in Sudbury and Wayland, Massachusetts, the only name you need to remember is VMA Electric. We understand that your home is likely your largest investment and that you want to ensure that it is protected at all hours of the day, even when you’re not there. And the same holds true with business owners wanting to look after their facilities and capital. That is the primary reason why we sell and install some of the most state-of-the-art alarms currently on the market. Regardless of which alarm or alarms you’d like to have installed, you can be 100 percent certain that you’re in good hands when you turn to VMA Electric. Each of our installers works full time for our company and is a licensed contractor. And, our owner, Victor Archila, is involved in each project we complete to help maintain a high standard of quality. 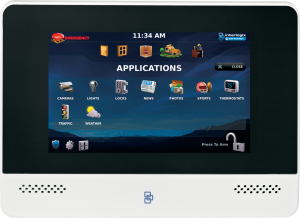 For additional information in regard to the variety of alarm systems that we can install at your home or office to provide safety and security, please contact VMA Electric today. We’re proud to serve residents and businesses in Sudbury, Wayland, and communities throughout the MetroWest area in MA.